Home > News > 3-Tab vs. Architectural Shingles: Which Is Better? 01 Mar 3-Tab vs. Architectural Shingles: Which Is Better? As a Hamilton roofing contractor, one of my biggest responsibilities is helping my clients choose the best materials for their roof. 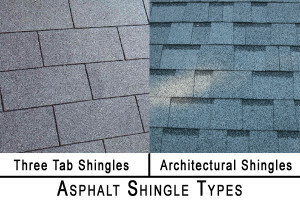 As of right now, asphalt shingles are by far the most economical, long-lasting solution for homeowners but it’s my job to take that conversation further and let people know about the benefits of architectural vs. 3-tab shingles. We have previously written about some exciting technological developments in the future of roofing (here and here) but architectural shingles are the biggest technological innovation currently experiencing ubiquity. 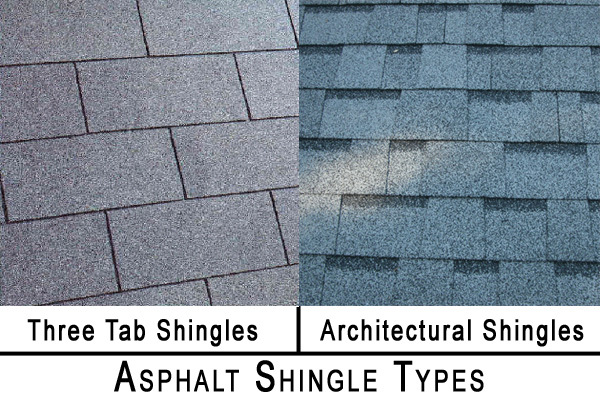 3-tab shingles were the first of the two products on the market, dating back to the early 20th century. It wasn’t until the 70’s when the higher end home market was looking for something more visually appealing and better performing that architectural shingles began to rise. Between the two, asphalt shingles comprise more than 80% of the residential roofing market today! 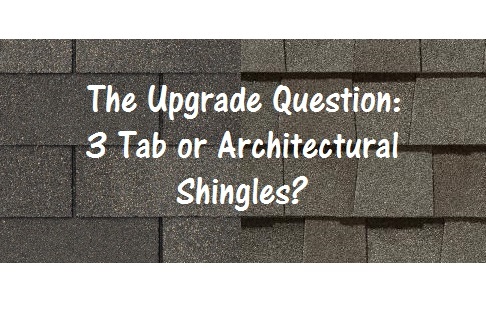 So why are architectural shingles so much better than 3-tab? There are many reasons why architectural shingles are gaining market dominance at an astounding rate, but the simplest answer is that they just last longer. The confidence on the manufacturing end speaks for itself, with manufacturers offering 25 year warranties for 3-tab vs. Lifetime Warranties for architectural (we put together some information on what a Lifetime Warranty really means for your roof here). In addition, architectural shingles are about 50% heavier than 3-tab which offers much greater durability and higher wind resistance. 3-tab shingles are rated for wind speeds up to 60 MPH, whereas architectural shingles are rated from 80-120 MPH depending on the brand. In addition to better performance, most homeowners also find architectural shingles to be much more visually appealing than 3-tab. The textured look is simply more engaging than the drab repetition of 3-tab. And although 3-tab is cheaper than architectural by a couple bucks a bundle, the fact that they are easier and faster to work with allows most contractors to put them on for essentially the same price. And in the long run, architectural shingles hold much better longevity! At the end of the day, the pro’s and con’s list is pretty unequivocal: Architectural shingles beat 3-tab by nearly every conceivable metric.